Unisoft is relatively a smaller brand in comparison to the existing biggies of IT training market but still it secures the numero uno place in the market where it operates. The underlying USPs can be derived from the unique relationship it builds up with the franchisees. There is mutual business commitment for the location. The Faculty and the admin training cost is included in the renewal. There is no 'DO or Die' approach; it is ' Live and let Live' mentoring. Encouragement to diversify and get into stable business situation. 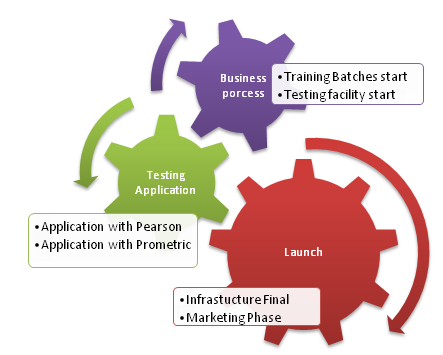 Number of JVs in testing, training and placements with exisiting partner. No fuss on partcipation in centralize publicity expenses. Design of marketing co-lateral shared with editable access. Mentor for marketing and operation management. Upgrade to new technologies through centralized RnD.